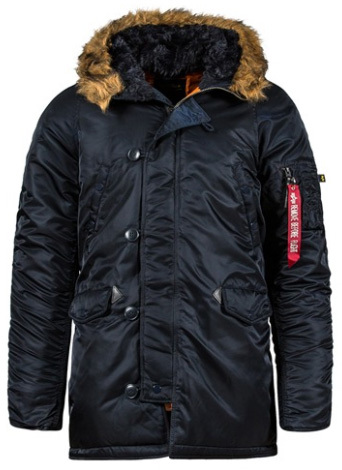 We are quickly approaching winter and now it is the perfect time to start looking for parkas and winter jackets. 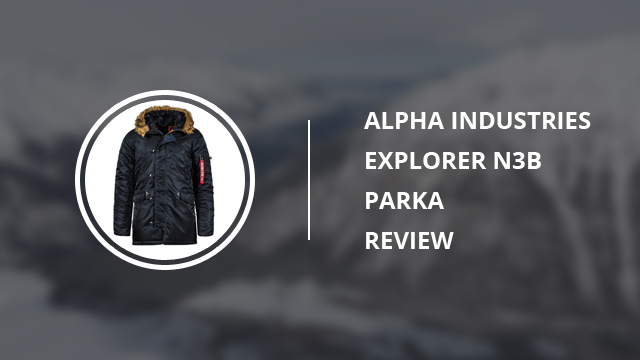 For this week’s single review we have chosen a lovely parka for men, by Alpha Industries. We will be looking at Explorer N-3B, a previously featured jacket in one of our selections. 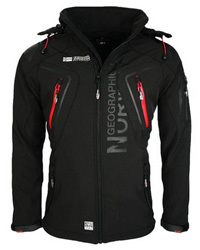 Explorer N-3B is a top quality jacket in design, fabric and performance. It is part of the N-3B series, which began in the mid 1950s, with several jackets for the air crews that had to fly in extremely cold climates. As you will see more in-depth when we get into the fabric and material details, nowadays these jackets have a polyester interlining, whereas in the beginning it was made out of wool. 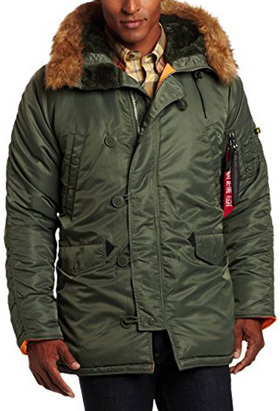 These jackets were later launched for regular customers in the 1980s and now there are numerous design variations of the original N-3B model jacket. Time to get started on Explorer N-3B! 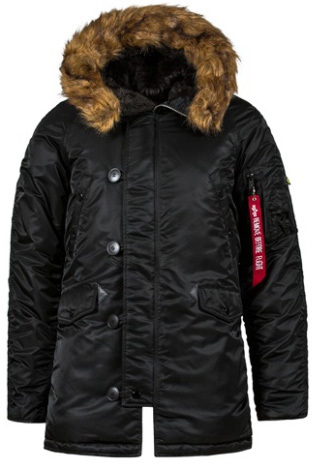 Explorer N-3B is a heavy winter parka, designed for extreme weather conditions and temperatures. 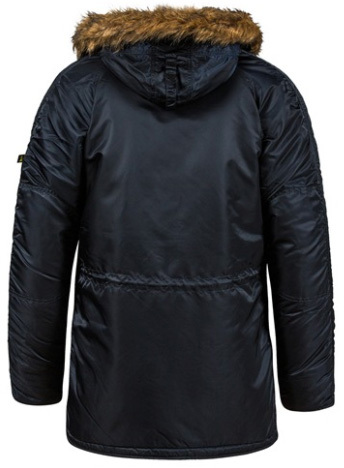 It withstands freezing temperatures effortlessly, without the bulkiness and heavy weight of the typical parka. 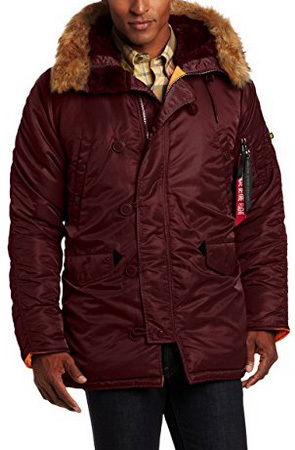 For those living up north or in areas where it regularly snows, this is a suitable jacket for work, as well as daily wear, since it comes without logos and the color options are beautiful. The high collar protects the face and neck, along with the attached hood, which comes specially designed. The hood is lined with faux mouton fur on the inside and comes with removable coyote faux fur trim around. This keeps the face protected against cold and harsh winds, especially during snowfall. 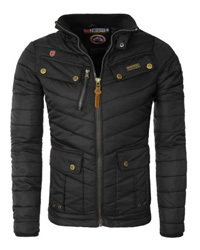 Explorer is a slim-fit jacket, which makes it a great day-to-day option, as it looks very modern and stylish. The main water-resistant zipper, is covered by a storm placket and the sleeve cuffs come with inner, elastic cuffs that help with insulation. This is a spacious jacket, with numerous oversized pockets, which will leave your hands free. The outer pockets are five, placed in pairs on the sides and chest, as well as one on the left sleeve. There is also a large pocket on the inside, which can hold numerous things all at once. Another great feature are the reinforced elbows, which are made more resistant by using patches. And lastly, there are drawstrings at the waist, that can be used to adjust the fit of the jacket. 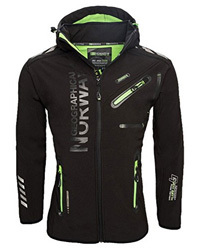 Explorer N-3B comes in three layers: shell, interlining and inner lining. Both the shell and inner lining are 100% Nylon, which is breathable and highly water-resistant, with the outer shell being windproof as well. The interlining is made of 100% Polyester, as is the poly-fill padding. Together, they insulate the jacket perfectly, making it capable to withstand arctic temperatures. The faux fur used in the hood and the trim around it are made out of 60% Acrylic and 40% Polyester. The outer trim remains fluffy and dry for a long time, even when snowing. Usually, there isn’t much to say when it comes to color selections for men’s jackets, particularly, as the options are very limited. Luckily, this is not the case with this parka, as there are 10+ color options you can choose from. These are classic colors, very muted down and great for both professional and casual looks. If there is one thing this jacket doesn’t lack, it’s reviews. With over 300 customers that have shared their experiences about Explorer N-3B, it was quite a feat to summarize them. Starting off with the looks, this is a jacket that looks as good in person as it does in the photos. The quality is also what you would expect not only judging by the price, but also from the brand itself. 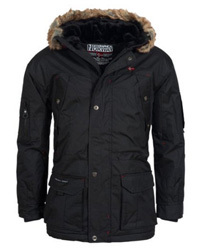 It is well-made and with highly durable fabric, which means a long-lasting jacket for many seasons. When it comes to weather resistance, it holds up nicely in rain and snowfall, however keep in mind that it is only water-resistant. On the downside, it tends to run small, which should be always kept in mind. The only other issue you might run into, are the metallic zippers, which tend to catch on the fabric sometimes. Other than that, you have only to worry about choosing the color you like best. Alpha Industries’ Explorer N-3B is part of a versatile and top-notch series, designed by a reputable brand that never fails to deliver the best quality products. This is one of the best options for harsh winters, especially if you have to spend long hours outdoors. There are two flaws with this garment that could be easily rectified: The first concerns the zip – a jacket of this length needs a double zip so that you can open it from the bottom when you sit down. Unfortunately, because the jacket doesn’t have this, the webbing at the bottom of the zip splits so each time you sit down the zip busts open. It’s really annoying. The second flaw are the ‘handwarmer’ pockets. Poly-cotton pocket bags directly against a nylon shell offer no thermal qualities at all as there is no insulation. Better off to have lined them with moleskin or fleece.